Buy the best stamps at the right value. It’s the attention to detail that makes the difference. Those of us who have been working for years in the world of stamps know well that it is in the details which makes the difference, as do those who collect. Collecting rare stamps is more than a mere passion; it is a captivating, alluring and unique experience. This is why we’ve chosen to offer our customers a number of services where details make the difference. 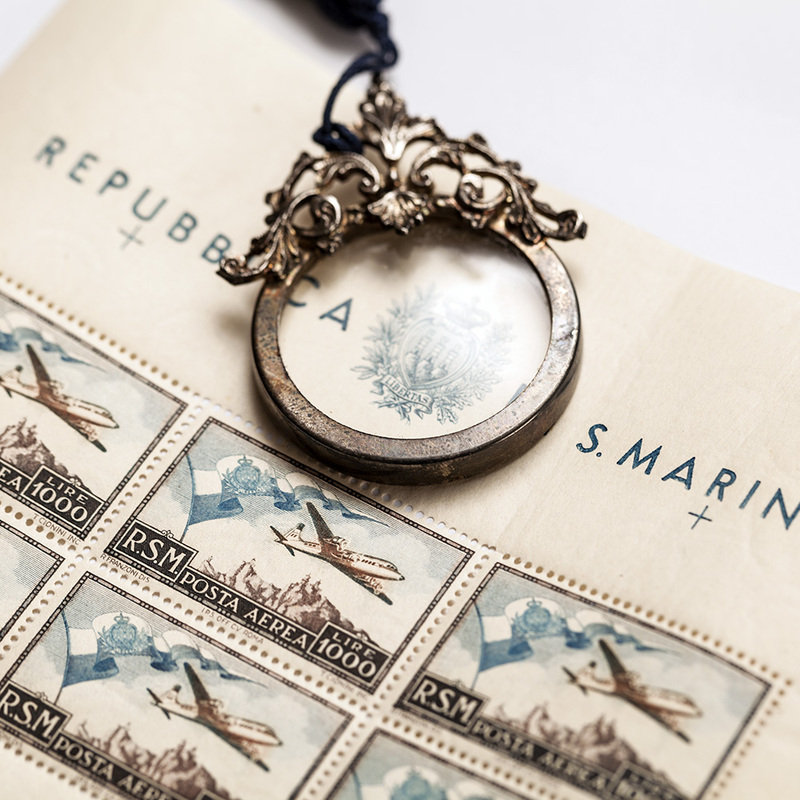 Ours is one of the very few auction houses in the philatelic market which carries out the bids and appraises the goods directly in our offices in the heart of Milan, in Corso di Porta Romana, number 132. Our customers have the opportunity to browse the lots directly on site in a professional and discreet setting where they can receive assistance and guidance. We also offer the possibility of conducting market research on valuable and difficult to find pieces. For our most exclusive customers, reserved services is also available. Share with us your stamps and collections. We’ll do our best to help you complete them and under the best possible conditions. If you haven’t ever participated in an auction, you don’t have to worry; it’s a lot easier than you think. Before the auction date, you can contact us or visit our office to receive further information about the lots you are interested in. Our experts are happy to help you with any questions you may have. You can participate in person and you’ll receive a pallet for making your bids. Otherwise you can make bids for the auction by post. Just fill out a simple form and indicate your maximum bid price per lot.